Winding mountain roads and legendary passes, fascinating rock formations and picturesque valleys; the Alps have plenty to offer bikers. 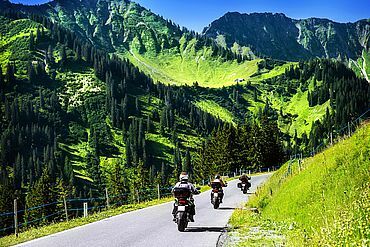 Discovering Austria on two wheels is at the top of the list for many bikers as something you simply have to have done. After an adventurous day out on the roads, Landhotels in this Alpine country are the ideal place to plan the next exciting leg of the journey. Our specialist Landhotels know just what bikers need. 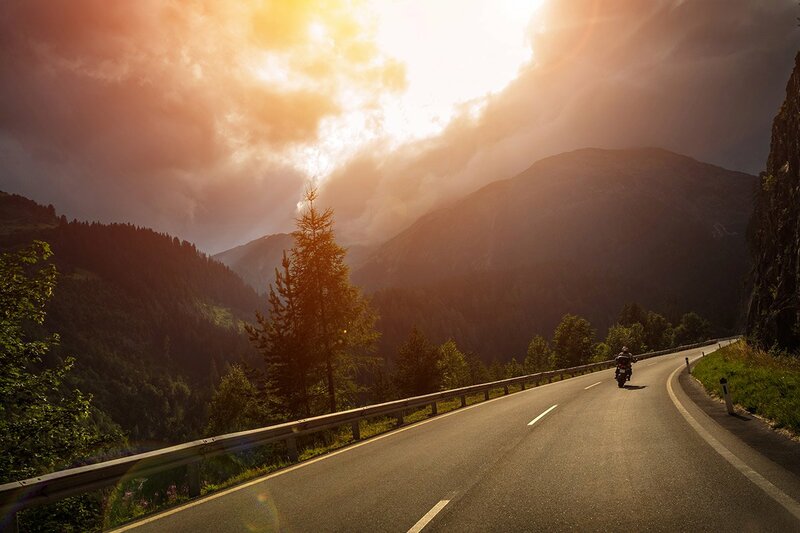 These hotel owners have spent time talking to bikers to find out what it is that would set them apart from other hotels, and they have acted upon the results. 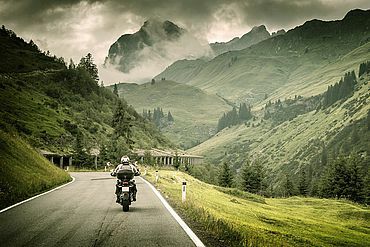 Specialist biker hotels are therefore perfectly tailored to the needs of bikers. Another reason to choose Landhotels is also the fabulous value packages which we design for bikers. Staying at a Landhotel ensures that both you and your bike get what you need after a day out. Safety is the top priority for any passionate biker. This is why our motorbike-friendly Landhotels all offer a free bike garage. You’ll find screwdrivers and tools for any small repairs or maintenance jobs that you need to carry out en-route. We also understand how important your clothing is when on a bike. Every hotel has a separate drying room for biker clothing. All hotels are able to advise you about must-ride trips in the area. Owners are able to offer specific route plans and detailed descriptions of bike tours from the hotel. 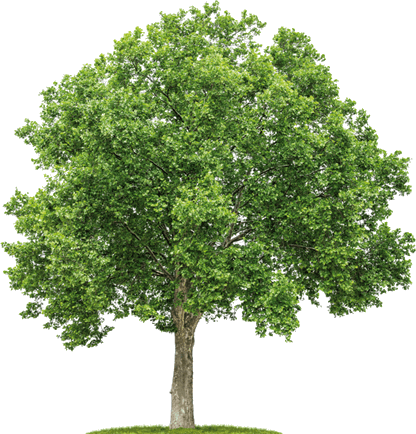 And should the worst happen and you need help, our owners are on hand to recommend reasonable, reliable garages in the vicinity. Our attractive Landhotel packages make a biking holiday in Austria an inexpensive pleasure. Our Landhotels will gladly make a generous packed lunch for those of you likely to need something to keep you going. That way, you can enjoy our Austrian specialities at your favourite viewpoint. Almost all Landhotels offer special offers to ARBÖ Club card holders. This can be anything from a welcome drink to reductions to your room rate or even free room upgrades. You can find further information about motorbike tours in our Landhotels motorbike folder. How about a stunning tour through the varied landscape of the Mostviertel and Wachau regions? There are six Landhotels in Upper Austria that will provide the perfect stop and make your tour a treat. Landhotel Das Traunsee****s scores highly, and not just because it is a Superior Standard 4-Star hotel. You will be bowled over by the lakeside location. The Landhotel Eichingerbauer****s in Mondsee offers the same high standard of accommodation. It is the ideal start and end point for the Hausruck-Salzkammergut Tour. Perhaps you fancy blowing all cobwebs away along the Romantic Road to Landhotel Forsthof**** in the Steyr valley where you will be treated to outstanding cuisine to round off your day. In Steyr, Landhotel Mader**** awaits. Their BMW suite and a visit to the BMW factory will make any BMW enthusiast’s pulse race. 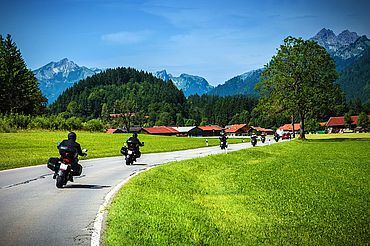 Groups of bikers come time and again to Landhotel Post*** in Ebensee. The spacious garage at this 3-star hotel has room to park 50 bikes. Or you might be tempted by the superb view over the Alps offered at Landhotel Stockerwirt**** in Vorderstoder. The nearby Kalkalpen National Park promises unforgettable rides. 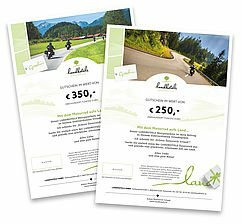 The best hotel for bikers in Carinthia is Landhotel Presslauer*** im Gailtal. From here, you can access not just the Dolomites but also Slovenia and Friaul, all of which are favourites amongst bikers. Landhotel Stofflerwirt*** in St. Michael knows what bikers need. This 3-star hotel also scores highly thanks to its generous wellness area. Family-run Landhotel Kaserer*** is fabulously situated at the heart of the Hohe Tauern National Park, surrounded by glorious mountain scenery. 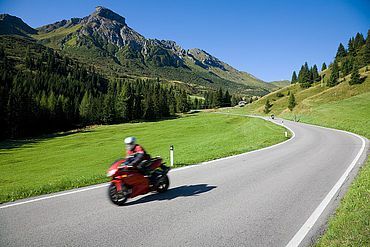 Bikers in Tirol need not worry; their needs are also catered for in this part of Austria. They will be warmly welcomed at Landhotel Wiedersbergerhorn**** in Alpbach and Landhotel Tirolerhof*** in Wildschönau-Oberau, which acts as an ideal base from which to discover the best roads in Tirol and Upper Bavaria.